The Pegasus World Cup Invitational, with its showdown between California Chrome and Arrogate, is amajor highlight of the USA’s winter racing season. The Pegasus at Florida’s Gulf stream Park isn’t the only G1 race competing for International racing fans’ attention this Saturday, Jan. 28th, though. South Africa’s G1 Sun Met earlier in the day offers them the chance to see if legendary international jockey Frankie Dettori triumphs on The Conglomerate against favorite Legal Eagle and Marinaresco. The world’s richest race with a purse of $12 million, the Pegasus World Cup Invitational will be particularly exciting this year. California Chrome, Longines’ 2nd best-ranked international racehorse, is looking to redeem himself against Arrogate, after the 4-year-old colt’s final yards’ win in the 2016 Breeders’ Cup Classic. Held at Kenilworth Racecourse, the G1 Sun Metis run over 0 and is South Africa’s richest race. The Met dates back to 1883, making it South Africa’s oldest major race and one of the country’s key racing fixtures in a calendar that also includes the Durban July Handicap, SANSUI Summer Cup and President’s Champions Challenge. This year’s Sun Met has a distinctly international flavor. 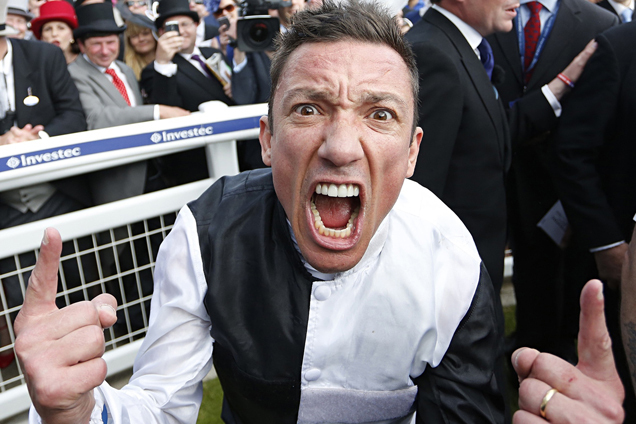 Frankie Dettori, the 46-year-old Milan-born jockey who has won more than 3,000 UK races and over 500 Group races internationally, is heading to Cape Town to ride The Conglomerate. The five-year-old Australian gelding has already made his mark in the South African racing scene, after his surprise 20/1 win in the 2016 Durban July. The Conglomerate has, though, failed to live up to post-Durban expectations. Earlier this month, he only managed to finish seventh in the G1 L’Ormarins Queen’s Plate, also run at Kenilworth over a distance of one mile. If Dettori and The Conglomerate defy their current odds of 16/1, the horse they need to beat isLegal Eagle, who won the Queen’s Plate and gained an automatic berth in this year’s Breeders’ Cup Mile. Legal Eagle’s Met oddare 16/10. As well as his Queen’s Plate victory, the 6-year-old Sean Tarry-trained Legal Eagle came second in last year’s Met after hitting the front too early but won April’s G1 Premier’s Champions Challenge in Turffontein, Johannesburg. As well as being the 2016 Equus Horse of the Year,Legal Eagle will be once again ridden by Anton Marcus, the South African jockey who rode him to victory in the Queen’s Plate and who also recently won the G1 Paddocks Stakes on Bela-Bela and the G1 Mercury Sprint on Red Ray. The other horse for Dettori and The Conglomerate to beat at Kenilworth is Marinaresco, with odds of 3/1.The five-year gelding, who won the G1 Mike & Carol Bass Champions Cup last July at Greyville in Durban, shares a rivalry with The Conglomerate after finishing second to him in the 2016 Durban July. Will history repeat itself at the Sun Met? As well as the Met itself, Kenilworth boasts 12 other races. These include the CTS Mile, featuring Dettori riding Just Sensual,the Investec Cape Derby, in which Dettori will ride Table Bay, and the KUDA Sprint. Will Dettori and The Conglomerate defy the odds in the Sun Met, or will Marinaresco redeem his second-place finish in the Durban July and also triumph over Legal Eagle Ahead of the Pegasus World Cup Invitational, American and Canada racing fans can wager and live-stream the South African race meeting via TVG, TwinSpires, Xpressbet, Watchandager.com NYRA Bets and HPiBet.Sky Racing World’s site also provides fans free form guides, betting tips and live-streaming for all South African, Australian and New Zealand races.